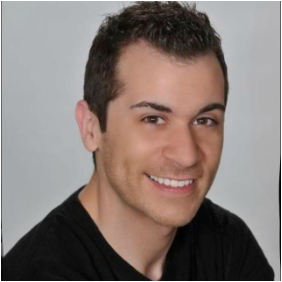 Shawn Martini (Dancer, Choreographer, Adjudicator) is a graduate from Point Park University in Pittsburgh, Pa, where he received his Bachelors Degree in Dance. He is trained in several forms/styles of dance(ballet, jazz, contemporary, modern) and has his ‘Acrobatic Arts’ certification. He is a Teacher/Choreographer, as well as a performing member, for Tampa Modern Dance Company. He has been a regional/national adjudicator for In10sity Dance Challenge, Hall of Fame Dance Challenge, Kids Artistic Revue, Showbiz, International Dance Challenge, Encore Talent Productions and the Dance Masters of America Organization. He has choreographed Endicott College’s UDA Nationals jazz routines, has been a judge for the University of Central Florida “Knights and Damsels” Dance Company, as well as a judge for the Orlando “Magic Minis”. He was a Master Teacher/Choreographer for Evolve Productions/Continuum Dance Theater, in Pittsburgh PA., as well as is currently a choreographer/teacher for several Orlando/Tampa based competitive studios. He spent 4 years as a principle dancer in numerous performances staged by the ‘Conservatory Dance Company’, and 2 years as a principle dancer in the ‘Pillow Project Dance Company’. Along with numerous choreography/teaching credits in various states, Shawn has been seen performing in principle/soloist roles with the Tampa Modern Dance Company, Byham Theater in Pittsburgh, Pa, Busch Gardens Amusement Park in Williamsburg, Va, ‘Pillow Project Dance Company’ in Pittsburgh, Pa, Point Park University in Pittsburgh, PA, Pittsburgh’s Civic Light Opera(CLO), and has performed for ‘Miss Kentucky’ for the ‘Miss America Scholarship Organization’.